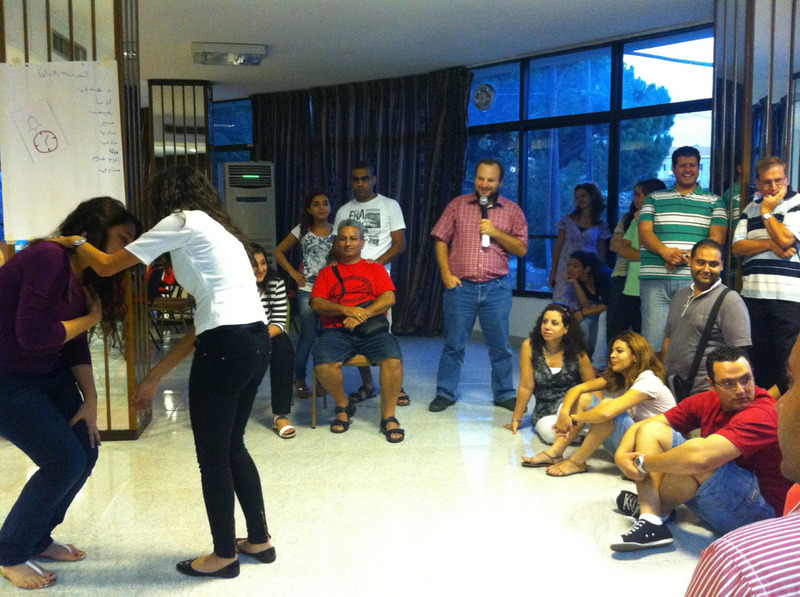 Ecumenical Youth Council in Europe → EYCE News → Theatre of the Oppressed now in Lebanon! Theatre of the Oppressed now in Lebanon! This past week the World Student Christian Federation – Middle East (WSCF) held a seminar in Lebanon. The title of the seminar was “Christian Witness in Times of Violence and War”. Participants were from 7 different Arab countries (Lebanon, Syria, Jordan, Egypt, Soudan, Palestine and Iraq), and from different Christian denominations. Topics ranged from psychological analysis of the human feelings (including fear and violence) to the study of history of violent conflicts and peaceful ways to resolve conflict in the Middle Eastern region. As a part of the seminar I presented a workshop on Theatre of the Oppressed which I had been introduced to at the EYCE seminar “Be the Generation of Peace!” in Novi Sad, Serbia this past summer. My workshop included energizers, applications on the Image Theatre and Forum Theatre and finally an introduction to the work of Augusto Boal and the evolution of the Theatre of the Oppressed and its accomplishments. The workshop was very highly appraised and many were excited to research more about the topic and do similar activities in their respective movements back home. ← CALL FOR ARTICLES 6th issue of The Leaf!